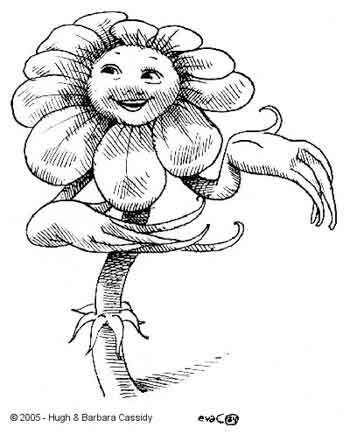 This smiling "flower person" was done by Eva in the early 80s. It was a design on a birthday card she made for a co-worker at Behnke's. Eva's sketches often imbued plants & animals with human characteristics.